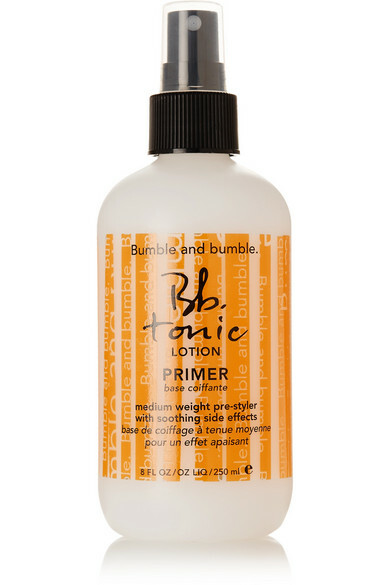 Bumble and bumble's 'Tonic Lotion' is inspired by "old-school barbers' elixirs." Enriched with natural herbs, nourishing vitamins and healing Tea Tree Oil, this pre-styling spray soothes and conditions while detangling and enhancing the efficacy of follow-up products. The lightweight formula is deeply moisturizing without weighing strands down.